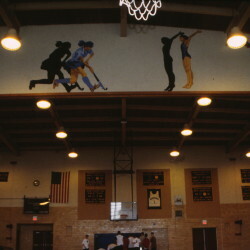 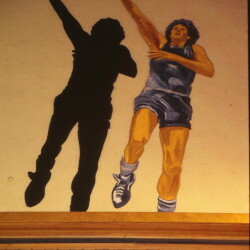 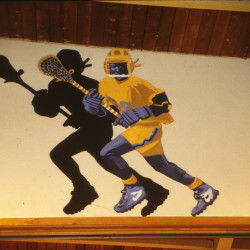 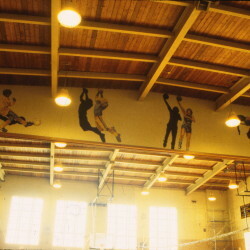 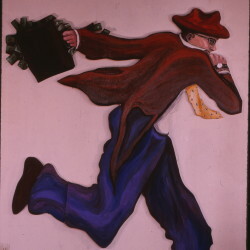 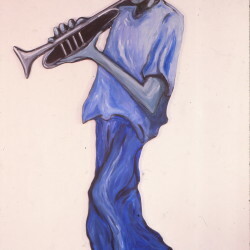 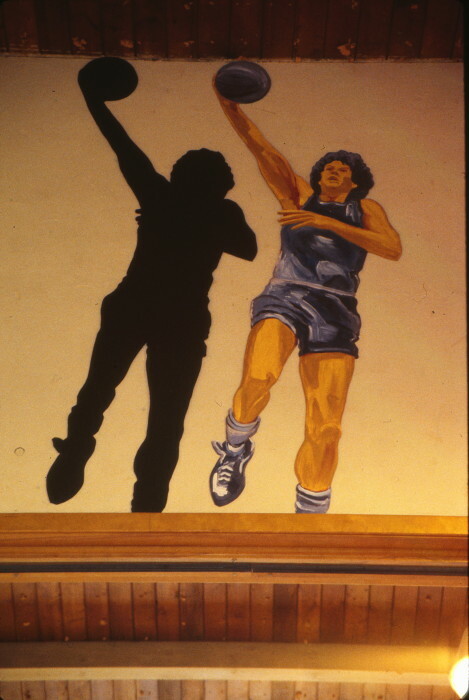 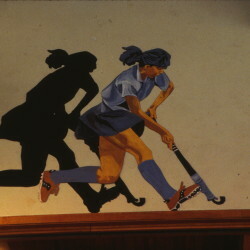 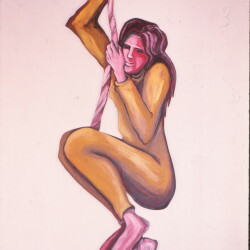 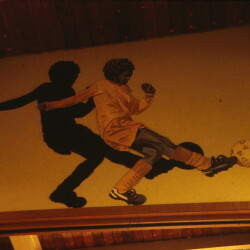 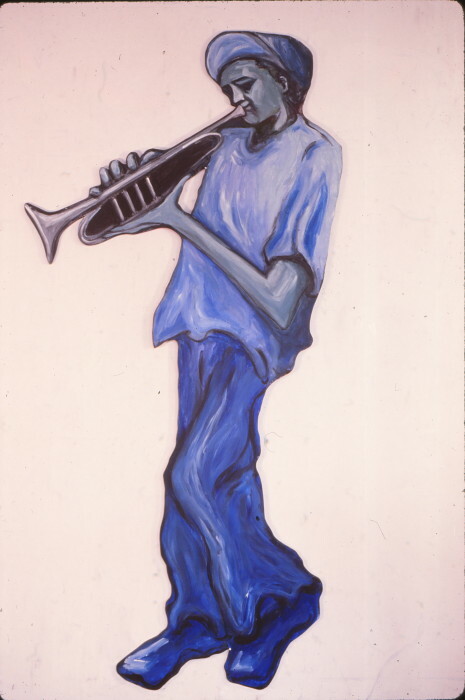 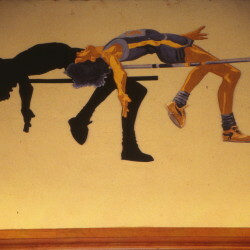 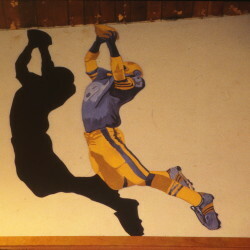 My public art includes a series of athletes in motion along with each of their shadows painted on 10 foot high wooden cutouts and installed in a high school gym. 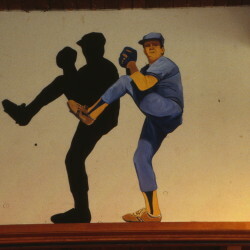 There are several other cutout figures designed and built with students and placed in surprise places throughout a school building. 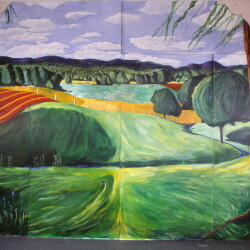 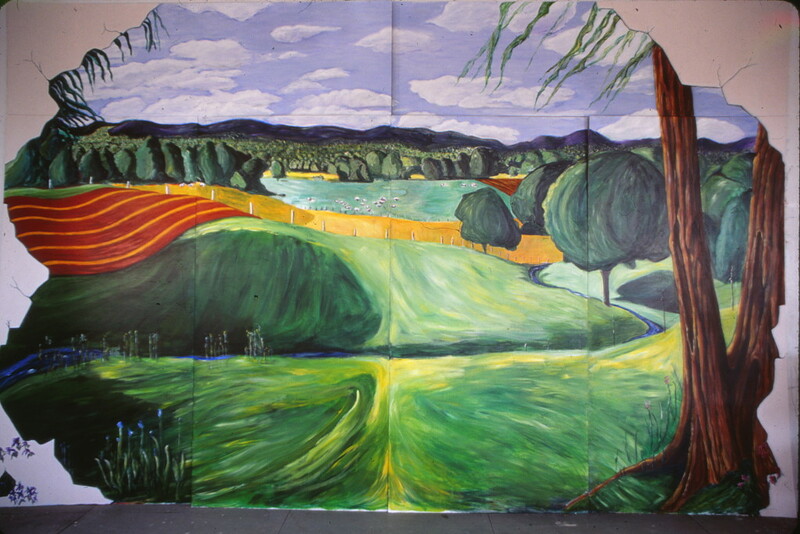 And there is a mural painted in a nursing home, which depicts breaking through the wall to be able to see the natural scene outside.